The kids only! 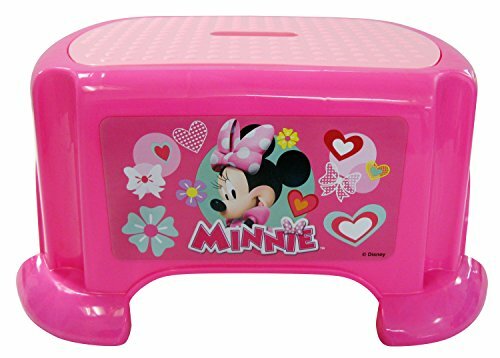 Minnie Mouse happy helper step stool is the perfect handy helper for your child. Perfect as a seat or a stool, with a slip resistant surface and slip resistant feet to protect floor surfaces. Easy to clean plastic surfaces. Recommended weight limit 100 lbs. (45 KG). ages 3 – 7 years. If you have any questions about this product by Minnie Mouse, contact us by completing and submitting the form below. If you are looking for a specif part number, please include it with your message.